Anlin windows prices vary from $400 installed when looking at the Monte Verde Series to $550 installed if you’re looking at double hung windows in the Coronado Series. The company produces middle range vinyl windows and the prices are comparable to Milgard, but lower than say a Amerimax. The company offers a twenty year warranty on parts and ten years on labor without any screen or breakage provisions. The Monte Verde Series is the entry level window they offer in vinyl. They are available as a slider or single hung only and many believe that that they have a slimmer frame and more features than the Milgard Tuscany. The Catalina series from Anlin is an improvement on the Monte Verde range, but they are also only available as a single hung or slider window. These windows include double strength glass, super spacer and ventilation latch. There are not many color options available, but this is how Anlin manage to keep their prices affordable. These windows can be compared to the PlyGem Premium or the Soft Lite Classic series. 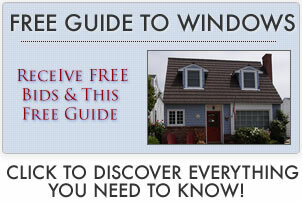 You can find out more on the PlyGem windows prices page. The best way to describe the Del Mar series is that it is a Catalina frame except it has a brick molded look. These windows come with double strength glass, super spacer, ventilation latch, even sightlines and a frame with 2.75″ depth and 0.080 extrusion. They are more expensive than the Catalina and are compared against the Standard Sunrise windows. This is the high end window series offered by Anlin which are available as a double slider or double hung. These windows have reinforced meeting rails, dual weather stripping and a pocket sill. They also come with a ventilation latch, super spacer, double strength glass and even sightlines. The frame is a 3.25″ depth with a 0.080 extrusion. Many feel that the pocket sill is poorly designed enabling water to seep into the frame and clog the holes. The Coronado range is compared to the Okna 500 Insul tech series and you can find out more on the Okna windows prices page. Dimensions: 72″W x 48″H (10), 96″W x 60″H (1), 36″W x 36″H (1), 72″H Patio Door. Included cost of installation from local contractor.